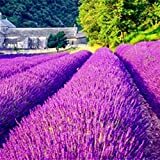 Lavender plant for sale – it is possible to grow lavender from a seed or cuttings, but if you are looking for a lavender plant for sale the best time to buy is autumn. The cool temperature, less intense sun and low to moderate rainfall during this season are perfect for planting lavender. 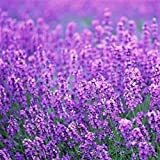 Lavender is a perennial evergreen shrub used as an ornamental fragrant plant and can grow in Mediterranean, subtropical, or temperate climate. Its purple-lilac flowers grow at the end of its stems in spike structure that looks like a hive. While its edible fragrant leaves are color green and oval in shape with serrated edges, reaching a size of 3-5 cm. It takes about three years for lavender to grow into full size. Lavender plant thrives in an almost sandy soil. Good drainage is important for this drought-tolerant plant. If you are on a heavy soil, you nay add a compost as it has uneven sized particles which will allow the roots to anchor themselves better. Or you may opt to follow 50/50 native soil to stone mixture. Also, check the acidity level of your soil. A lavender plant does well in an alkaline soil with pH of 6.5 to 7.5. Your plant will not thrive if there is too much acid in the soil. 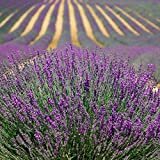 If you are in a hot humid area, plant your Lavenders in a raised bed or mound and leave plenty of space for air circulation since these plants are not really suited to heat and humidity. Plant them 3-4 feet apart from each other. Full sun is required to achieve a good amount of blooms. Placing your lavender plant in a half shaded area tends to lessen its blooms. Water you lavender plant in its nursery pot every day until planted. After which, watering should be done sparingly only when the soil is dry. Once the lavender plant is fully established, it becomes extremely drought resistant. Avoid overwatering in order to keep your plant alive and healthy. Prune your lavender plant once a year although it is more for design than any other purpose. This plant can become aggressive and fast growing so it won’t hurt to cut it back a little especially in a limited garden area. Remember to prune your plant after its blooms. Cut back not only the flower stem, but also about a third of the gray-leaved stems. Avoid pruning too far back that only woody stems without leaves are left. Too much pruning may cause death to a lavender plant. You may harvest your lavender plant leaves all year once the plant fully matures. Cut the flower stems during the cool of the morning after the dew has dried up. Most lavenders blooms for a period of 5 weeks, so you have ample time to enjoy the view and fragrance of your lavender plants.